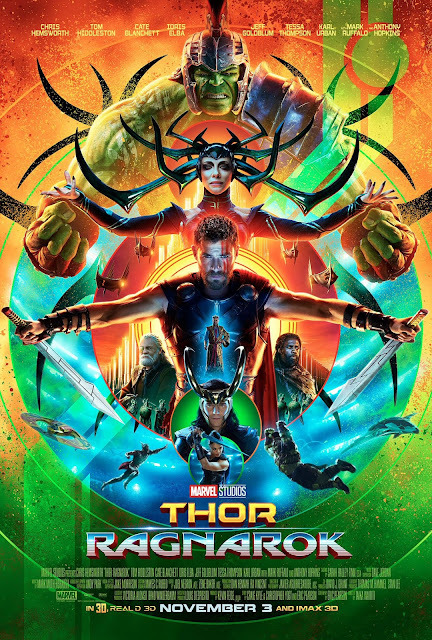 Pittsburgh Underground: Movies That Have Everything: Thor: Ragnarok STARTS TODAY!!! Movies That Have Everything: Thor: Ragnarok STARTS TODAY!!! In this third movie of the series, The mighty Thor finds himself imprisoned in a gladiatorial contest against his old buddy the Hulk as he fights for survival and a race against time to prevent the all-powerful Hela from destroying his home and the Asgardian civilization. Directed by Taika Waititi (who is also playing Korg in the flick) all our old friends (and foes) are back including Chris Hemsworth in the title role, Loki (Tom Hiddleston), Heimdall (Idris Elba), Volstagg (Ray Stevenson), Fandral (Zachary Levi), Hogun (Tadanobu Asano), Odin (Anthony Hopins), Bruce Banner aka the Hulk (Mark Ruffalo), and Dr. Strange (Benedict Cumberbatch). Also joining the cast is West Homestead native Jeff Goldblum as Grandmaster, Tessa Thompson (Valkyrie), Karl Urban (Skurge), Rachel House (Topaz), Clancy Brown (voicing Surtur), and Cate Blanchett as Hela, the goddess of death. Keep your eyes peeled at the beginning of the flick to for special appearances by Luke Hemsworth, Sam Neill, and Charlotte Nicdao portraying our favorite heroes 'on stage'. 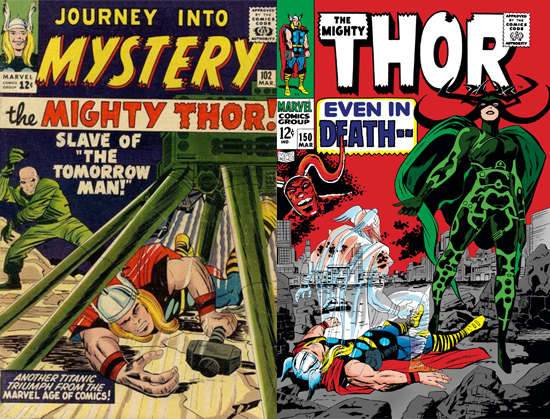 Hela, created by the famous duo of Stan Lee and Jack Kirby first appeared during the silver age of comics in Journey into Mystery #102 back in 1964. She’s based on the Norse goddess, Hel who was the child of Loki and the giantess Angrboða who, when she came of age, was appointed the Goddess of Death by Odin, giving her rulership over the dead in the realms of both Hel and Niflheim. She frequently battled Thor who often tried to expand her power into the realm of Valhalla, the realm of the honored dead. For the film version, Hela is the eldest daughter of Odin and sister to both Thor and Loki (although her motives for power reflect that of her comic book counterpart). A lot of reviews are already pouring in stating that this is one of the most entertaining Marvel movies since Guardians of the Galaxy. Thor: Ragnarok bolts into theaters this weekend! BONUS!!! Check out this 1987’s style of the Thor: Ragnarok trailer by Nerdist.com!